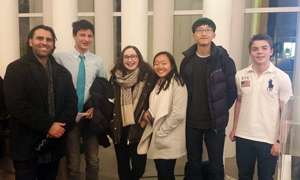 On Monday, February 6, IGCSE music students attended a concert at the Philharmonie by the Bavarian Radio Symphony Orchestra, under the direction of Mariss Jansons. Students had the opportunity to hear a world-class performance of Mahler’s 9th Symphony. ISL would like to thank the Philharmonie for their continued support of music education.